Dr. Emmanuel Yaw Boakye holds a BSc, an MPhil. And a Ph.D. degrees in Agriculture (Soil Science) from the University of Ghana, Legon. He has held several positions and is currently the Technical Director at the Office of the Minister for Procurement. 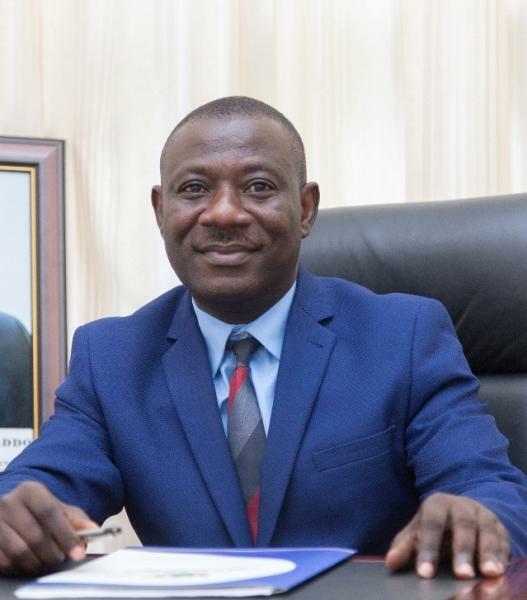 He held previous positions as a Lecturer at the University of Ghana, Legon; the Project Director of the Kristo Asafo Group of Companies; the Project Coordinator of VEPEAG (Vegetable Producers and Exporters Association), as a Teaching Assistant at the University of Ghana, Legon and Export Director of KASKAM Company, Accra. “Effect of various sources of P fertilizer on the growth of maize in the concretionary soils of Northern Ghana” (BSc. Dissertation). He also holds certificates in procurement from International Law Institute (George town university, USA); Fundraising from Larcof International, USA, and in Export Management from the Export Promotion Council, Ghana. He is working towards obtaining the MCIPS from the Chartered Institute of Purchasing & Supply. Dr. Boakye has been a Reviewer of the Canadian Journal of Microbiology since 2015 and is a Member on several boards, including Larcof Ghana; Soil Science Society of Ghana; African Journal of Agriculture; Symbiosis International Association. He is currently Board Chairman of the Kristo Asafo Schools and a Board member of public procurement authority (PPA).